BEAT pudding mix and milk in medium bowl with whisk 2 min. Add cookie crumbs; mix well. SHAPE into 1-inch balls. Freeze 10 min. 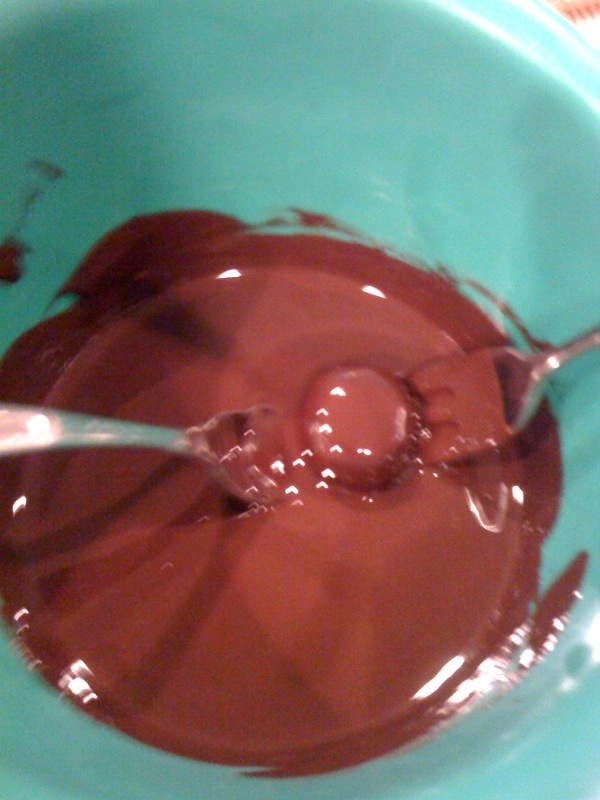 Dip in semi-sweet chocolate; place in single layer in shallow waxed paper-lined pan. REFRIGERATE 20 min. or until firm. I recommend watching the video even though this recipe is super easy. She tells you tricks about getting the cookie balls coated with chocolate. 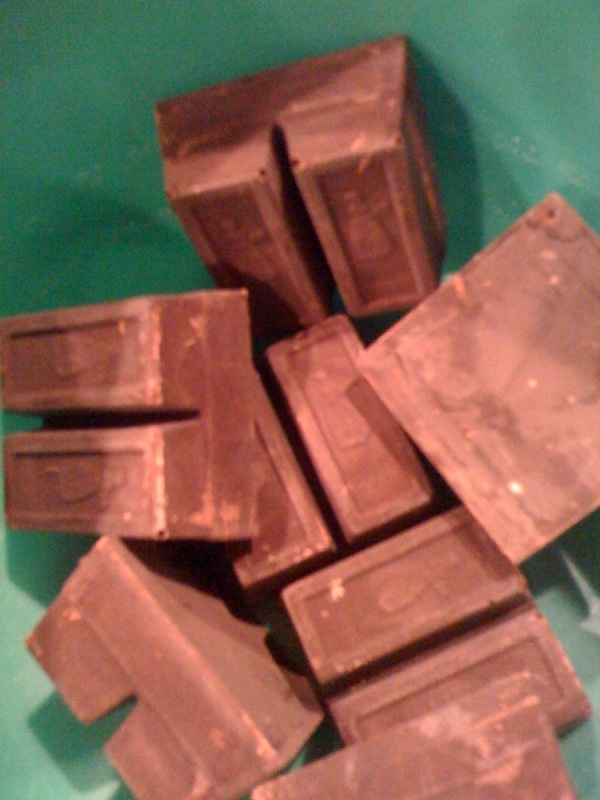 Dipped and ready to be refrigerated. 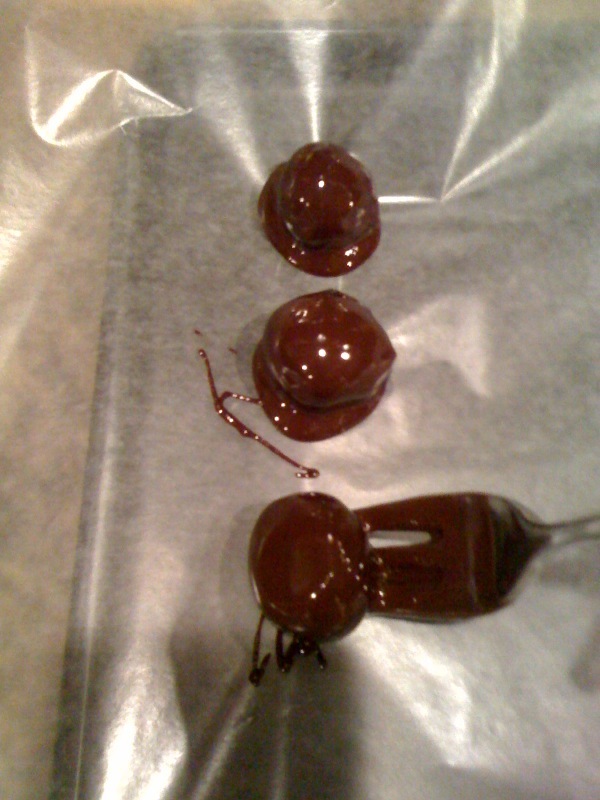 cookie balls to be dipped. I forgot to take a picture of the final product! 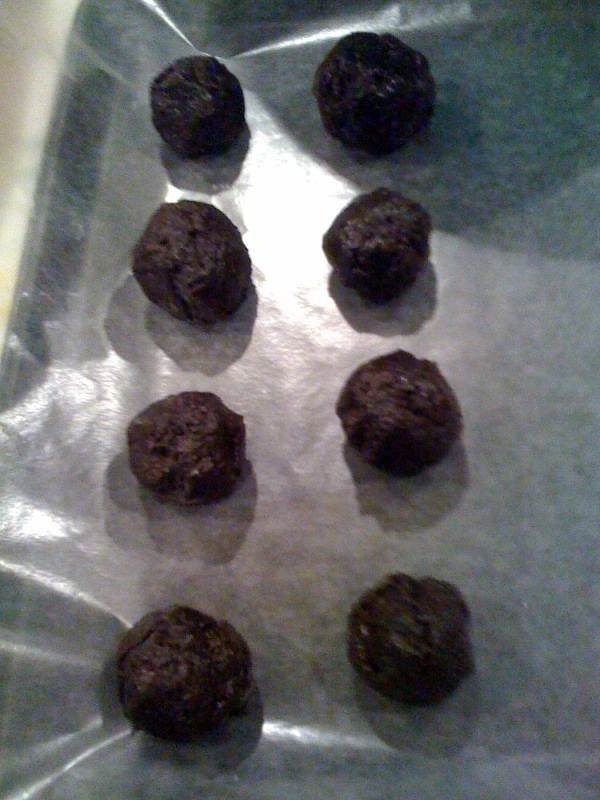 But they look the same as above but a little darker after the chocolate dries. 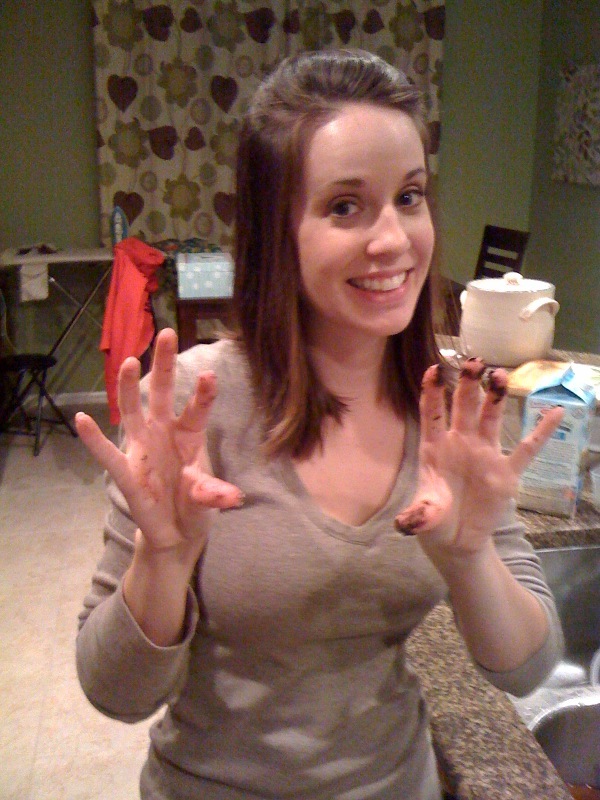 And after all of that, our intern never got to taste them because I wasn’t brave enough to bring them to work after Derrick and I tasted them at home! The “extra” chocolate coating on the bottom of the cookie balls tasted very bitter. To the point we could barely swallow. Then I realized my Baker’s chocolate was unsweetened! WHAT? Nooooooooo. I mean they aren’t completely horrible, but if you get a bite of that bitterness, it’s game over. My other co-workers have convinced me to bring them tomorrow so they can decide just how bad they are. I think they might regret that decision, but they asked for it! « Cleaning supplies at CVS for $1.00!